Are you using the latest version of your internet browser? Your internet browser may be outdated. Try updating to the latest version. Click here, for detailed instructions on updating a browser. Does your video pause frequently? Low or weak internet connectivity may cause the video to pause frequently. When using a mobile device, you may not have a strong internet connection. Try loading the video in a different location. Did you get a "Disconnection error"? Please refresh by using the refresh button above the video player. What's the difference between "Live Events" and "Calendar Events"? Live Events are specific events that are live streamed. Those events are viewed directly on the Meyer Levin website. Calendar Events can vary from Parent Teacher Conferences to Field Trips. 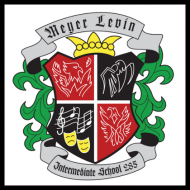 Those events may require you to be present and are not viewed through the Meyer Levin website. Where can I find the details about an upcoming Calendar Event? On the home page, there is a Calendar Events section. To find out more about the event, click on the title of the event. You will be taken to the event detail page. Where can I see all the Upcoming, Expired, and Current Calendar Events? On the home page, there is a Calendar Events section. By clicking on the View All button, you will see all past, present, and future events. Can tickets for Calendar Events be purchased from the detail page? All ticket should be purchased at Meyer Levin and not online. I cannot see the comment that I posted for a Calendar Event. All comments must be approved. Meyer Levin does not condone any use of foul language or profanity. Comments discriminating against someone’s religious beliefs, gender or race are not allowed. Any comments not related to the event will not be approved. Advertisements/promotions/ or spam must not be posted any of the comment sections.